DC Pin Size: Rectangle USB Type Yellow Tip With Pin Inside. Output Current: 3.25A. 100% compatibility with the original. Condition: New. Warranty 1 Year. Certified to CE & FCC Standards, RoHS compliant. Output: DC20V 4.5A 90W. ThinkPad Edge Series. ThinkPad Edge 0196-3EB. ThinkPad Edge 0578-47B. ThinkPad Edge 11". ThinkPad Edge 13". ThinkPad Edge 14. ThinkPad Edge 15. IBM Lenovo 3000 series. IBM Lenovo z series. IBM Thinkpad xseries. IBM Thinkpad t series. IBM Thinkpad r series. Such as battery, ac adapter etc. All item passed FCC / CE / ROHS certificates. (Apply for Battery Only). ThinkPad L510. ThinkPad X61. ThinkPad X61 Tablet. ThinkPad R61. ThinkPad Edge Series. ThinkPad Edge 0196-3EB. ThinkPad Edge 0578-47B. ThinkPad Edge 11". IBM Thinkpad xseries:X60,X60s,X61,X60 Tablet. 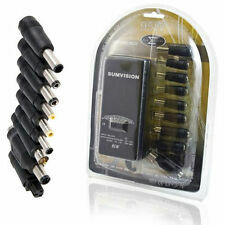 IBM Thinkpad r series:R60,R60e,R60i,R61,R61e,R61i". IBM Thinkpad t series:T60,T60p,T61,T61p. Output:20V 4.5A 90W. "IBM Lenovo 3000 series:C100,C200,N100,N200,V100,V200. Output : 19v-3.42a. POWER CORD NOT INCLUDED. Power: 65w. We will be great full to resolve the matter asap. W540 (Quad Core Models) 170W. W541 (Quad Core Models) 170W. P70 (M600M Graphics Only) 170W. Thinkpad P P50 170W. Ideapad Y720 Y720-15IKB 170W. 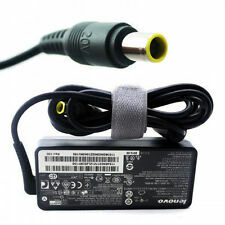 Output 170W - 20V 8.5A, Lenovo Square DC Port Slim Tip. P70 (M3000M/M4000M/M5000M) 230W N/A. IBM ThinkPad 1702, 1703, 1704, 1705, 1706, 1707, 1708, 1709, 2501, 2507, 2508, 2509, 2533. IBM/Lenovo ThinkPad R60, R60e. IBM ThinkPad T60 Series. IBM ThinkPad X60, X60s. IBM ThinkPad Z60 Series. IBM ThinkPad Z61 Series. You can find this information on the label of your original adapter. Therefore, your laptop model could be available with LED back light or CCFL back light. · Therefore the screen we will send may have different model/ part number but will fit and work properly with your laptop. ThinkPad X61. ThinkPad X61 Tablet. ThinkPad R61. "CTRL" "F" to find your laptop model/part number printed on your laptop bottom or original adapter. 4 Line regulation (full load): ��0.5%. Working temperature: 0-35��@100%, 50��@70% load. Laptop battery for lenovo. Output Power90W. 1x Adapter. Such as battery, ac adapter etc. Includes power cable. MPNDoes not apply. All item passed FCC / CE / ROHS certificates. Tool Batteries. Ideapad Y720 Y720-15IKB 170W. Thinkpad P P50 170W. P70 (M600M Graphics Only) 170W. W540 (Quad Core Models) 170W. W541 (Quad Core Models) 170W. Output 170W - 20V 8.5A, Lenovo Square DC Port Slim Tip. Lenovo Part Numbers. 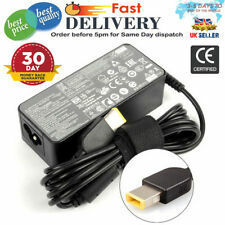 For Lenovo Laptop AC Adapter Power Supply Charger T400 T410 T420 T430 90W 20V Suitable for ThinkPad T- Series: T60, T60p ,T61 T61p, T400, T410, T420, T430, T420i, T430u ThinkPad X- Series: X60, X60s, X61 X61s, X200, X210, X220, X230, X1 Carbon, X131e,X140e-01, X140e-02, X140e-03, X140e-04, X140e-05, X140e-06, X140e-07, X140e-08V480 Thinkpad Edge: 530c, E330, E330-01, E330-02, E330-03, E330-04,E330-05, E330-06, E330-07, E330-08, E330-09, E330-10, E330-11,E330-12, E330-13, E330-14, E335, E430, E430c, E530, E530c ThinkPad L-Series: L330, L330-01, L330-02, L330-03, L330-04, L330-05, L330-06, L330-07, L330-08,L330-09, L430 ThinkPad S-Serie: S230u, S430, SL510, SL510 2847, ThinkPad V-Series:V480c, V480s, V490u, V490u 001, V490u 002, V490u 003, V490u 004, V490u 005,V490u 006, V490u 007, V490u. Perfectly works with: lenovo ThinkPad T470 T470s X270 X280 T480 T480s. We will do all the best to resolve this for you. Full support is always available! The item is in excellent condition. Used only twice. Output:20V ~ 4.5A, 90W. 1x adapter 1x Power cord. Such as battery, ac adapter etc. We work with a good quality supplier and factory. Help you and us save money greatly. All item passed FCC / CE / ROHS certificates. 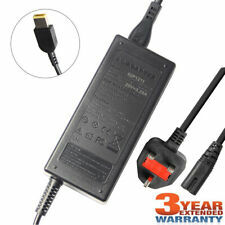 LENOVO ThinkPad T T470s T570 T470 T460 T550 AC Charger Power Adapter. Helix 2 (11) Helix 2 with Ultrabook Pro Keyboard 36W. Thinkpad 10 Tablet 10 (Type 20C1, 20C3) 36W. Helix 2 with Ultrabook Keyboard 36W. 10 (Type 20E3, 20E4) 36W. Helix 2 (#20CG,20CH) 36W. 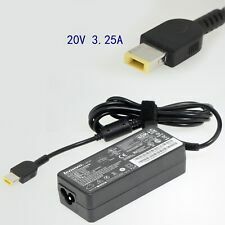 Output 36W - 12V 3A, Lenovo Square DC Port Micro Tip. For price match the Item must be available and the total price to match must also include carriage cost. 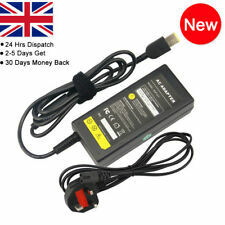 UK 3 pin power lead Plus EU 2 pin power lead included. They may be marked / scratched. International orders. Output: 20v~4.5A 90W. IBM Lenovo 20v 4.5a. Output Power: 90W MPN: 12921. Lenovo 3000 C100, Lenovo 3000 N100, Lenovo 3000 V100. IBM ThinkPad XSeries: X60, X60s, X61, X60. IBM ThinkPad T Series: T60, T60p, T61, T61p. Power: 65W. DC Output: 20V 3.25A. POWER CORD is included where applicable. Product Details. AC Input: 100~240V / 50-60HZ. 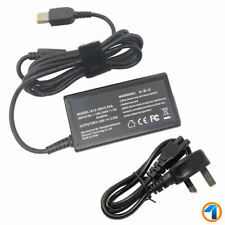 1 X AC Adapter. Such as battery, ac adapter etc. All item passed FCC / CE / ROHS certificates. Includes power cable. 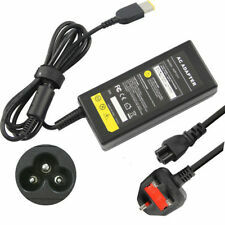 1 X Power Cord(Plug). We work with a good quality supplier and factory. Help you and us save money greatly. If any problem. e.g. you can use 4.74A instead of 3.42A and it will not harm the laptop, as laptop uses only what it requires. Pin Size: (11 4.6) mm - Yellow Tip. Output:20V ~ 4.5A, 90W. Pls double ensure.If not it will not compatible. 1x adapter 1x Power cord.